Pinkadots Elementary : Tried it Tuesday: Fluency Center w/ Whisper Phones! Tried it Tuesday: Fluency Center w/ Whisper Phones! After the long heart felt blog post yesterday, I realized how good it felt to vent and write. Thank you all for the kind emails of support. 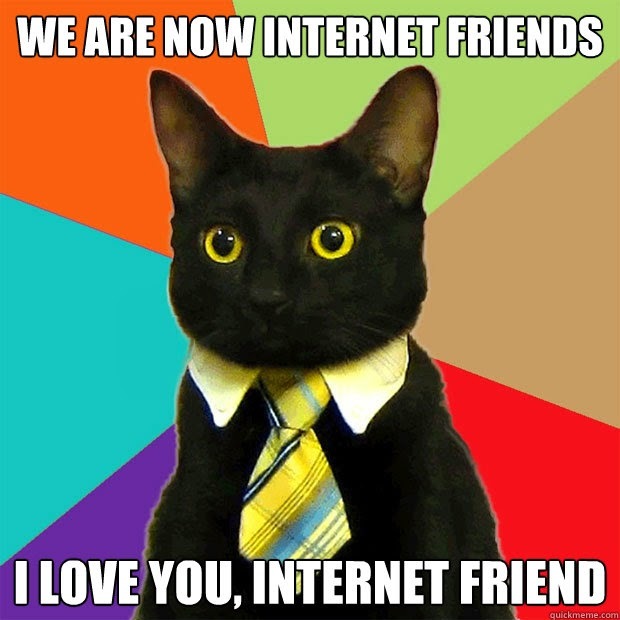 It is really nice to know we have so many caring friends, even Internet friends. We are real people behind this blog. Real moms, teachers, and friends with real lives full of surprises, stress, emotions, and sometimes fun. Boy am I ready for break! Today we have a half day and then we will be off for TWO weeks! So I'm happy to have the chance to share our newest center with you for Tried it Tuesday. 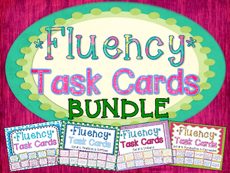 Recently, I purchased these awesome fluency task cards from Teaching with a Mountain View. I printed them in color and put them into Dollar Tree 4X6 photo albums! Super easy, cute, and a huge time and lamanation saver! (Dollar Tree just restocked these albums for Christmas, so call around, they are easy to find!) Next it was time to make the whisper phones. This was Robyn's job. She went to Home Depot, grabbed some PVC pipes, elbows, and some duct tape and put her husband to work. Luckily, he is handy and cut the pipes perfectly. It literally took him a few minutes. 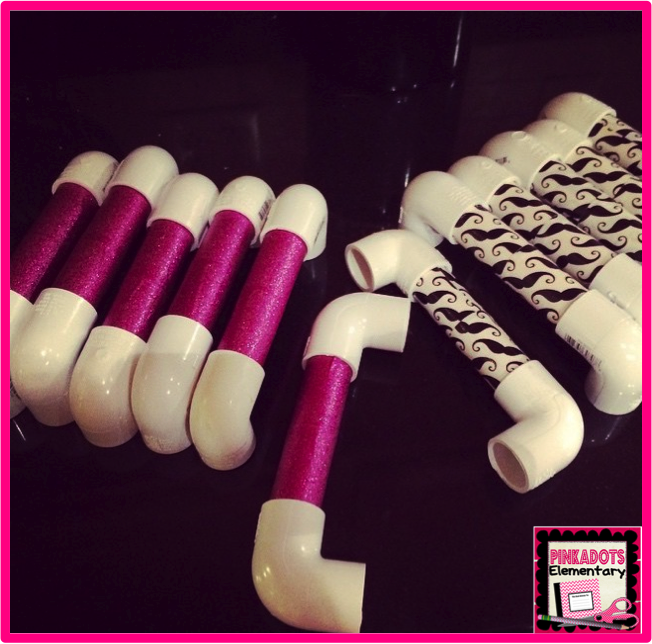 Robyn wrapped the pipes with some cute duct tape and Ta Da...whisper phones were created! These things work AMAZING too! So how do we use them? While I am taking a Guided Reading group, one center rotation visits the fluency center. Each student reads through task cards of fluency paragraphs and decides on one to read to their partner. They then time themselves whisper reading the same passage three times. After the third time, they read it to a partner at the center. The partner needs to give feedback to the reader stating one glow and one grow. Each student is responsible to complete this worksheet every time they visit the center. The sheets are collected and used for cold read data, fluency goals, and formative assessments. 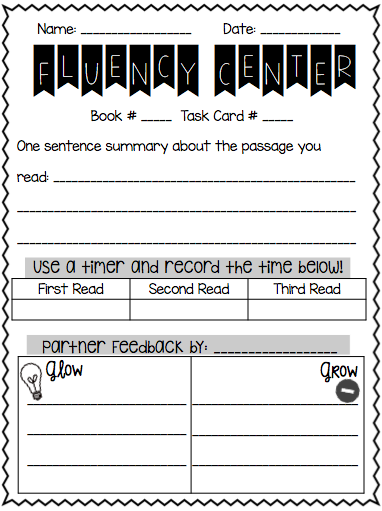 Since many of my students have fluency goals, this is a great way for them to get extra practice. It's also an easy way to have students reflect on their work, feedback, and progress. Want to try this out? You can have a copy of the center sheet. Grab it here! 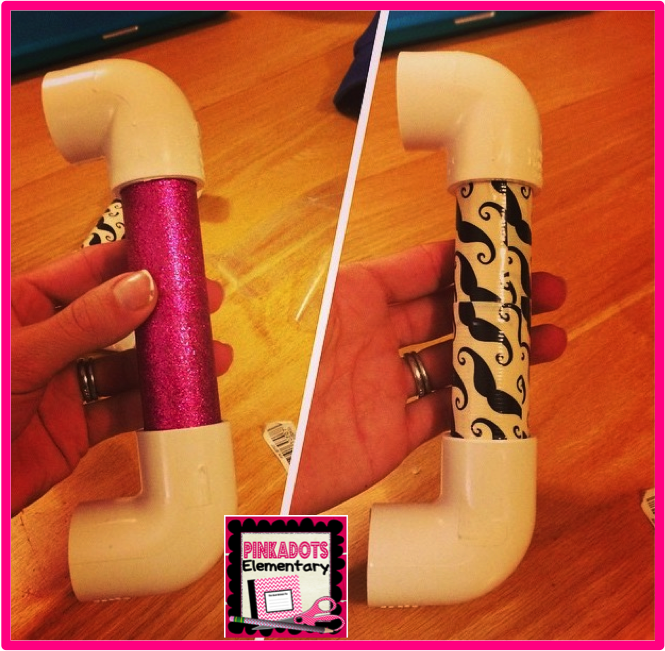 What a great idea to put duct tape around the PVC pipe- that's way more fun!!! Thanks for the freebie, too! Have a great holiday break! I love this idea of fluency with partners (not just me!) I DO like those task cards! I'm going to incorporate this into my stations when we get back from the break. Thanks for the great idea! Downloaded the page also...thanks! I love this recording log, thank you!